This album is the perfect Christmas gift for any member of the family. It brings to life those well-known traditional Christmas songs. The perfect album for a sing-along Christmas session. This album is a great production that explores the sensation that is Steelpan. 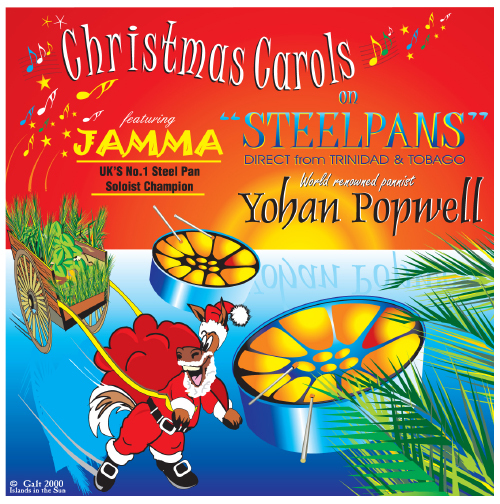 Produced and made in the Caribbean Island of Trinidad & Tobago, the home of the Steelpan, gives the listener the chance to enjoy the playing of world renowned panist Yohan Popwell & UK’S no 1 Steelpan soloist Mighty Jamma.